When looking for Cessna Citation Mustang training the first place to look is at Cessna's official training provider. 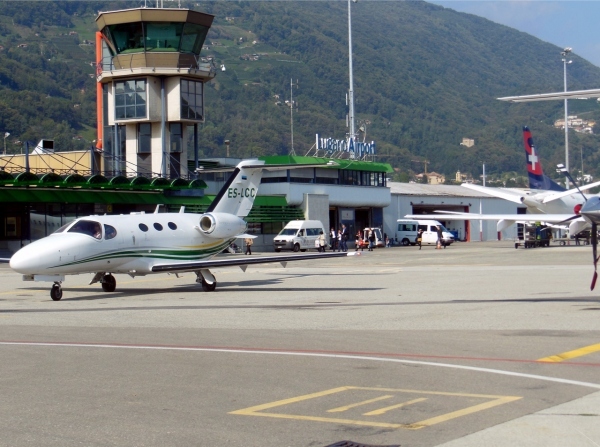 Cessna utilizes FlightSafety International to provide training for the Cessna Citation Mustang. FlightSafety provides complete Cessna Citation Mustang training that includes pilot and maintenance training. FlightSafety provides Citation Mustang training at 3 locations worldwide. Cessna Citation Mustang training is provided at Cessna/FlightSafety Wichita, Kansas USA, FlightSafety Orlando, Florida USA and FlightSafety Farnborough, Hants, United Kingdom. Cessna Citation Mustang maintenance training is only offered in Wichita, Kansas by FlightSafety. Below is information on the Citation Mustang courses available from FlightSafety. Above Cessna Citation Mustang Training page Photo by Chris j Wood on Wikimedia Commons. Photo (only) released under a Creative Commons License. Currently the Cessna Citation Mustang Training cost/pricing is unavailable to be reported by Sun Airlines. For more information on the above Cessna Mustang training contact FlightSafety. There are also other companies that provide Cessna Citation Mustang training. If your company offers Citation Mustang Training, contact our Aviation Resources team to learn how you can be listed on this page. For Reference: Cessna Citation Mustang Training is also known as Citation Mustang Training, Cessna Mustang Training, C510 Training, Cessna 510 Training and CE-510 Training.